All performances will be held at the Studio Theater. Note: This play appeared in last summer’s reading series and will be further developed this summer. Anne García-Romero’s plays include Provenance, Paloma, Earthquake Chica, Mary Domingo, Mary Peabody in Cuba and Santa Concepción. Her plays have been developed and produced at the Public Theater, O’Neill National Playwrights Conference, the Goodman Theatre, the Mark Taper Forum and South Coast Repertory. She’s been a Jerome Fellow at the Playwrights’ Center and is an alumna of New Dramatists. She holds an MFA in Playwriting from the Yale School of Drama and a Ph.D. in Theater Studies from UC Santa Barbara. She is the Thomas J. and Robert T. Rolfs Assistant Professor in the Department of Film, Television and Theatre at the University of Notre Dame where she teaches playwriting and theatre studies. She’s a Resident Playwright at Chicago Dramatists. 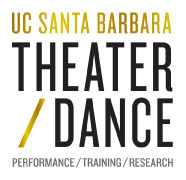 The LAUNCH PAD Summer Reading Series is supported by the UCSB Summer Sessions Cultural and Enrichment Grant.